The Choir of King’s College, Cambridge is one of the world’s best known choral groups. Every Christmas Eve millions of people worldwide tune into A Festival of Nine Lessons and Carols, a service broadcast by the BBC since 1928, making it the longest established annual broadcast in history. The same service has been broadcast in the USA by American Public Media since 1982. Additionally, Carols from King’s, a televised Christmas service also broadcast on Christmas Eve, celebrated its 60th anniversary in 2014. The Choir’s international fame and reputation, enhanced by an extensive recording catalogue, has led to invitations to perform around the world. Highlights of the 2017/18 season included performances at the Vatican, Athens Concert Hall and a Bernstein anniversary concert with Britten Sinfonia in the Barbican. The Choir began the 2018/19 season in Prague with the Orchestra of the Age of Enlightenment performing a rare arrangement of Dvorak Mass in D major for bass and two cellos as part of the Dvorak Festival. Later in the season, the Choir returns to the Concertgebouw in Amsterdam, Birmingham Symphony Hall and North America. This is Stephen Cleobury’s last season as Director of the Choir as he is due to retire in the summer of 2019, following a final visit to Australia with the Choir. The College launched its own record label in 2012 with Nine Lessons & Carols. In 2014, the Choir’s recording of Fauré’s Requiem remained on the UK classical chart for 28 weeks making it one of 2014’s best-selling core classical albums, and the 2015 release of 1615 Gabrieli in Venice was the first classical album to use Dolby’s new Atmos technology, reproducing the acoustic of the Chapel. Recent releases include a critically acclaimed Bach St John Passion with the Academy of Ancient Music and Duruflé Requiem with the Orchestra of the Age of Enlightenment. The Choir also has a back-catalogue of more than 100 albums released with EMI and Decca. The Choir exists thanks to King Henry VI who, in founding the College in 1441, envisaged the daily singing of services in its magnificent Chapel, which remains the primary purpose of the Choir’s sixteen choristers, fourteen choral scholars and two organ scholars. A number of famous people have attended events in the Chapel including British monarchs, from Elizabeth I to the present Queen; political leaders such as Winston Churchill and Mikhail Gorbachev; and Charles Darwin, who loved the Choir so much that he engaged the Choristers to come and sing in his rooms when he was at Cambridge. For full information about King’s College School and the life of a Chorister, please see www.kcs.cambs.sch.uk. Stephen Cleobury is always pleased to hear from potential members of the Choir, choristers, choral scholars and organ scholars. Those interested are invited to contact the Choir office (01223 331224 // choir@kings.cam.ac.uk). The Choir of King's College, Cambridge will start a 9-concert tour in Australia this summer, conducted by Music Director Stephen Cleobury. From July 20 to August 6, the Choir will perform in Perth, Adelaide, Canberra, Melbourne, Sydney and Brisbane. 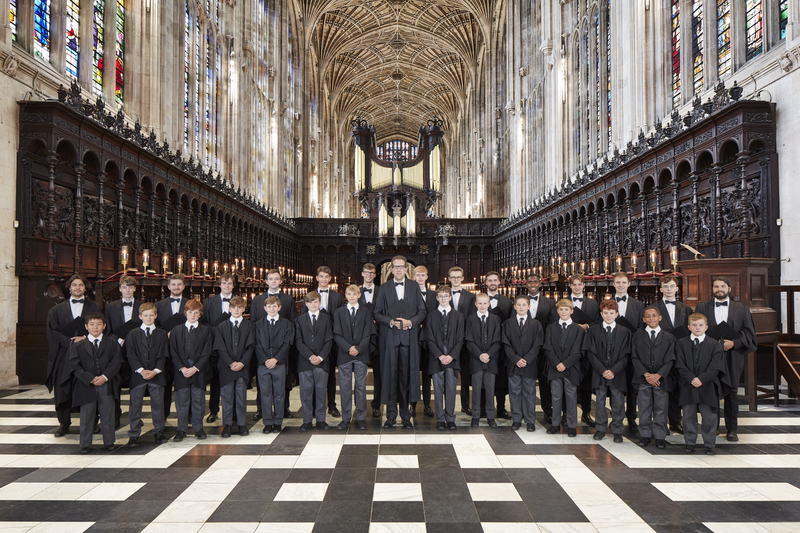 Two years after their last tour to the US, The Choir of King’s College, Cambridge return for a 3-concert tour, conducted by Director of Music, Stephen Cleobury. The tour will visit St Paul Cathedral, Minneapolis; National Cathedral, Washington DC and St Thomas Fifth Avenue, New York. The Choir will perform a mixed programme including works from their new recording to be released soon. For their final Christmas tour of the year, the Choir of King's College, Cambridge performed in Birmingham's Symphony Hall. The Choir of King's College, Cambridge performed this December in the Royal Festival Hall, London. Once again, the Choir was accompanied by Philharmonia Orchestra for this annual Christmas concert. Crouch End Festival Chorus joined them for this performance, alongside with Rhian Lois - soprano, Marta Fontanals-Simmons - mezzosoprano, James Way - baritone, Roderick Williams - tenor. 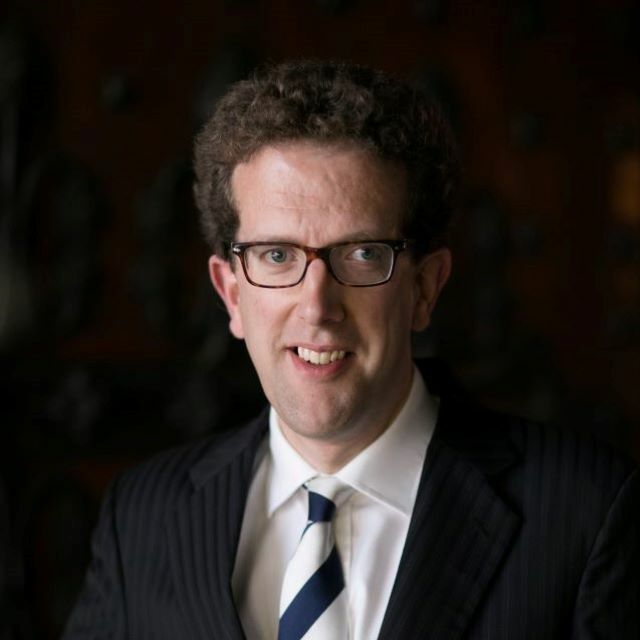 Stephen Cleobury and the Choir of King's College, Cambridge return to Amsterdam to perform English Choral Classics and Christmas Carols in the Concertgebouw. In September 2018, the Choir of King's College, Cambridge performed in St James the Great Church in Hanslope. The Choir of King’s College, Cambridge shared the stage with great artists, in Prague’s Rudolfinum, as part of the Dvořák Prague Festival 2018. Led by Director of Music Stephen Cleobury, the Choir of King’s College, Cambridge performed alongside with the Orchestra of the Age of Enlightenment, soprano Pavla Vykopalová, mezzosoprano Markéta Cukrová, tenor Aleš Voráček and baritone Roman Hoza. They performed Elgar, Serenade for Strings in E minor, Op. 20; Schubert, Mass No. 2 in G major, D. 167 and Dvořák, Mass in D major, Op. 86. The Choir of King’s College, Cambridge inaugurated this year’s summer festivals tour on July 11th 2018. With Director of Music Stephen Cleobury, the Choir performed around the United Kingdom and Ireland, with performances in Cheltenham Festival, Limerick for the 850th anniversary concert of Saint Mary’s Cathedral and Ryedale Festival in Ampleforth Abbey. The Choir of King's College, Cambridge commence their bi-annual tour of European summer festivals. Led by Director of Music Stephen Cleobury, the Choir returns to St Malo Cathedral to perform as part of the Festival of Sacred Music and will perform debut concerts at Kreuth International Music Festival and Verbier Festival in addition to a service participation in Notre Dame Cathedral, Paris. The programmes cover music evocative of English choral tradition such as William Byrd Ave Verum Corpus and Henry Purcell I was Glad, amongst other works. Brahms Warum ist das Licht gegeben? Conducted by Director of Music Stephen Cleobury, the Choir and its two Organ Scholars performed 6 concerts in America and Canada following their visit there in 2015. The Choir performed various programmes to include works from a number of their recent recordings, including Hymns from King’s, Evensong Live 2016, Gabrieli 1615, Faure Requiem and English Hymn Anthems. In addition to the Choir's performances, the King's Men and Organ Scholars also performed a short recital at the Mormon Tabernalce in Salt Lake City on Thursday 30 March. The Choir of King’s College, Cambridge returned to Asia in summer 2016. Since their China debut in October 2010, the Choir have visited China multiple times and enjoy their regular visits. This tour included visits to Hong Kong, Nanjing, Tianjin and Beijing. Director of Music, Stephen Cleobury and the Choir of King's College, Cambridge returned to Sweden to mark the 80th anniversary of its first ever international tour which visited Lund Cathedral, the Engelbrektskyrkan in Stockholm and Uppsala Cathedral in 1936. The programme included Hubert Parry's Blest Pair of Sirens, which was performed at the Duke and Duchess of Cambridge's wedding, contrasted with the solemn, yet dramatic, Lo, the full, final sacfice by Gerald Finzi. The Choir also performed other works by composers with links to Cambridge – Stanford studied and was Professor of Music at Cambridge, Vaughan Williams studied there, as did Charles Wood, whose music was also heard on the Choir’s 1936 tour. King’s alumnus Robin Holloway later taught there and his recent King’s commission is included along with that of Judith Bingham. Amidst their annual Christmas recordings for BBC Television and Radio and other UK engagements, the Choir made a return visit to the world-renowned Amsterdam Concertgebouw in December, performing a programme of English Choral Classics and Christmas Carols. The Choir of King’s College, Cambridge performed at four of Germany’s most renowned summer festivals, performing a programme of all British music, from Byrd to Britten. The programmes designed by Director of Music, Stephen Cleobury, highlight ed interesting links to King’s College and Cambridge. Tye and Gibbons were King’s choristers, and Hacomplaynt a Provost. Byrd's 'O Lord, make thy servant Elizabeth' refers to Elizabeth I , who is known to have visited the chapel. Vaughan Williams, Harvey, Britten, Howells and Stanford are also composers with wider Cambridge connections to other Colleges. The Choir of King’s College, Cambridge returned to the US for a 5-concert tour, conducted by Director of Music, Stephen Cleobury. The tour visited St Thomas Fifth Avenue, New York; National Cathedral, Washington DC; St Paul Cathedral, Minneapolis; 4th Presbyterian Church, Chicago (as part of the Symphony Center Presents Series) and Church of the Incarnation, Dallas. The Choir performed a mixed programme including works from their recording, English Hymn Anthems and works by Faure, Poulenc and Howells. Following five star reviews of their recording of Fauré Requiem, the Choir of King's College, Cambridge, has released Favourite Carols from King’s as its fifth disc on the King's label. The CD brings together a collection of the most popular carols featured in A Festival of Nine Lessons and Carols over the years, recorded by the current Choir. Simultaneously, the Choir released its first DVD on the label, which is a recording of the 2013 Carols from King’s service, as broadcast by the BBC last year. The Choir’s Christmas season performances begin at Barbican Centre, London on 6 December with a performance of Bach’s Magnificat and Respighi’s Lauda per la Nativita del Signore alongside Britten Sinfonia and soloists including Intermusica singers mezzo-soprano Kitty Whately, soprano Mary Bevan and tenor Ben Johnson. 16 December sees the Choir travel to Edinburgh’s Usher Hall for a performance including a selection of carols in addition to the Poulenc Christmas Motets and Praetorius Magnificat Quinti Toni. The Choir returns to London the following day for their annual appearance as part of Raymond Gubbay’s Christmas Festival at the Royal Albert Hall, performing with the Philharmonia Orchestra and Philharmonia Chorus. This year marks the 60th anniversary of Carols from King’s, which will be televised on BBC2 on Christmas Eve, preceded by a 60 minute documentary on the history of the service as well as a separate broadcast of a restored version of the first Carols from King’s in 1954, conducted by Boris Ord. Also on Christmas Eve, the Choir will sing in A Festival of Nine Lessons and Carols in King’s College Chapel, broadcast live by BBC Radio 4. The Choir of King’s College, Cambridge travels to Marienberg in Germany to perform as part of the Musikfest Erzgebirge on 19 September, where its concert will be broadcast live on Deutschland Radio. The programme reflects a bridge from England to German Saxony, the region in which the festival takes place, with the first half comprised of English works and the second half German. Returning to the UK, the Choir performs the following weekend at All Saints Weston Green in Surrey on 28 September. The programme ranges from Renaissance to 21st century, and reprises some works from the Erzgebirge programme as well as Monteverdi’s Adoramus te Christe and Cantate Domino in the madrigal style, a Bach organ solo and Nigel Cassidy’s setting of Psalm 100, Jubilate Deo. The Choir of King’s College, Cambridge, and Director of Music, Stephen Cleobury tour Australia this summer for eight concerts between 21 July and 2 August. This is the Choir’s first visit to Australia in over a decade, since their last tour in 2001. They perform concerts in Sydney, Melbourne, Brisbane, Perth, Canberra and Adelaide, including a performance at Sydney Opera House Concert Hall. The Choir are performing two programmes on the tour. The first features Fauré’s Requiem, performed with organ, and baritone and treble soloists from within the choir. The second programme focuses on more intimate works, ranging from Renaissance to 21st century. Both programmes include three contemporary Australian compositions, each commissioned by Stephen Cleobury for King’s annual Christmas service A Festival of Nine Lessons & Carols. Peter Sculthorpe’s The Birthday of thy King was commissioned for the 1988 service; Brett Dean’s Now comes the Dawn for the 2007 service, and Carl Vine’s Ring out, wild bells for the 2012 service. The Choir of King’s College, Cambridge travel to Asia for a 5-concert tour in August. Concerts take place in Seoul, Beijing, Hong Kong and Singapore. The Choir are delighted to be making a return visit to both the NCPA in Beijing and The Esplanade in Singapore, following successful performances in recent years. The Choir are also known to the audiences of Seoul and Hong Kong however are pleased to perform for the first time at the Seongnam Arts Center in Seoul and at two venues in Hong Kong: Sha Tin Town Hall and Hong Kong City Hall. In Beijing and Hong Kong the Choir perform a mixed programme of English songs by Stanford, Parry and Vaughan Williams as well as works by Schubert, Widor and Wolf’s Sechs Geistliche Lieder. The Choir will be joined by local ensemble and soprano for the concerts in Seoul, Hong Kong and Singapore. The programme includes two Mozart works, Schubert’s peaceful yet dramatic setting of Psalm 23 ‘The Lord is my shepherd’, and the Missa brevis Sancti Joannis de Deo of Haydn, known as the ‘Little organ mass’ for its extensive organ solo in the Benedictus, which is performed by the Choir’s organ scholar. The major work in the second half is Vivaldi’s Gloria.